Just 200 m away from the Gondelbahn First cable car and a 10-minute walk from Grindelwald's train station, these apartments at Gletscherblick Wüthrich offer a balcony with panoramic view of the glacier, free Wi-Fi, and a fully equipped kitchen. In the ground floor, you can find a bakery and a cake shop with a coffee place. You only have to walk 200 m to get to the nearest restaurant. In the winter, you can almost ski to the accommodation entrance. As a guest at Gletscherblick Wüthrich, you can enjoy a free access to the local covered pool. Only 200 m away from the cable car Seilbahn First and a 10-minute walk from Grindelwald's train station, these apartments at Gletscherblick Wüthrich offer a balcony with panoramic view of the glacier, free Wi-Fi, and a fully equipped kitchen. In the ground floor, you can find a bakery and a cake shop with a coffee place. You only have to walk 200m to get to the nearest restaurant. You can almost ski to the accommodation. As a guest at Gletscherblick Wüthrich, you can enjoy a free access to the local covered pool. ...Raclette and fondue machines are also available. Here, the apartment is located in the second floor and there is no lift. On our trip to Switzerland, we stayed in four different places. By far, this was our favorite! It was like a “home away from home” experience. Very cozy, spectacular view of the mountains, fabulous pastries at the bakery and friendly owner and staff. Everything was within walking distance. If you don’t want to walk, there is a bus stop just outside the bakery. We were given a free bus pass as part of our stay. Highly recommend this amazing get away! We really enjoyed our week. The accommodation is compact but has everything you need and the owners are very friendly and helpful. We particularly enjoyed sitting on the balcony watching the world go by and observing the ever-changing views of the Eiger. We hope to return soon. Thank you, Frau Wuthrich. 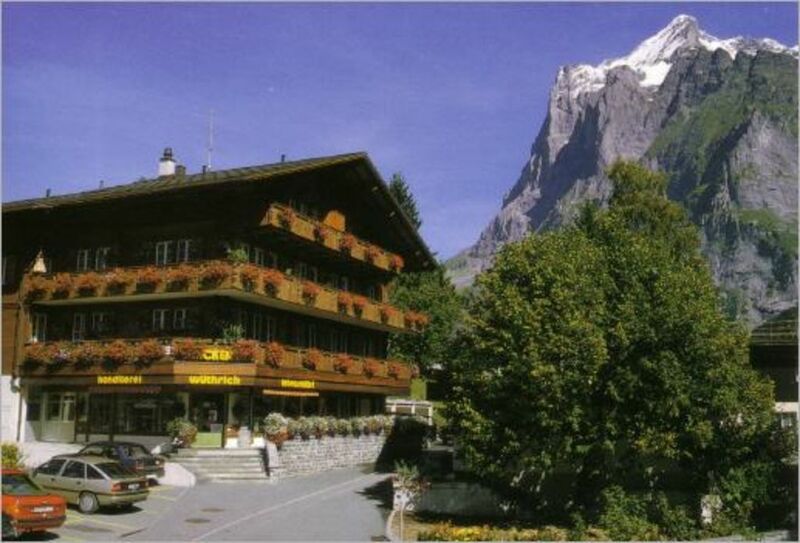 It is located just 200 m away from the Gondelbahn First cable car and a 10-minute walk from Grindelwald's train station; these apartments at Gletscherblick Wüthrich offer a balcony with panoramic view of the glacier, free Wi-Fi, and a fully equipped kitchen. You can almost ski to the accommodation entrance. As a guest at Gletscherblick Wüthrich, you can enjoy free access to the local covered pool.